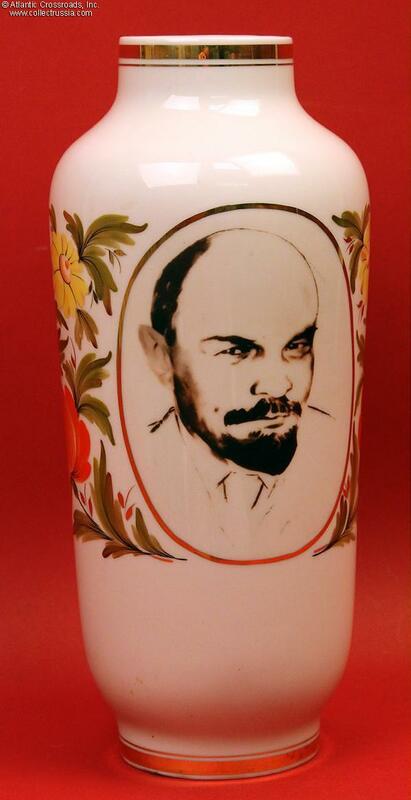 Lenin Vase, Gorodnitsa Porcelain Factory, circa 1962-70, large porcelain vase probably produced to commemorate the Centenary of Lenin's birth in 1970. 11" high (28cm), base: 3 1/8" (78mm), neck: 2 1/2" (65mm), widest section: 4 1/4" to 4 1/2" (107-114mm). 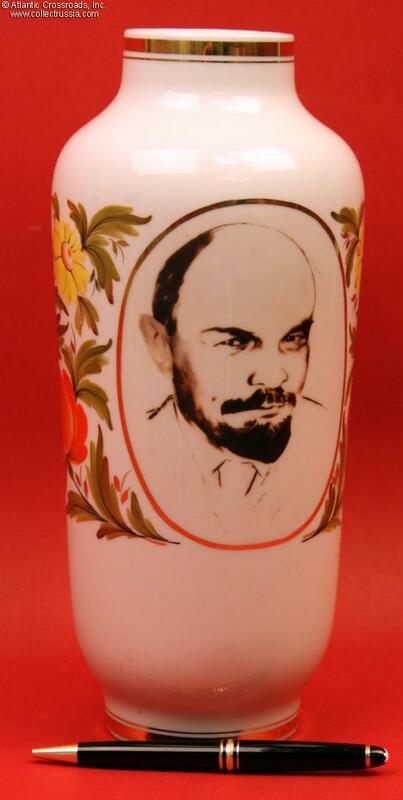 Delightful hand painted flowers wrap around the back of the vase while a grandfatherly looking Lenin smiles at the viewer from a golden oval. 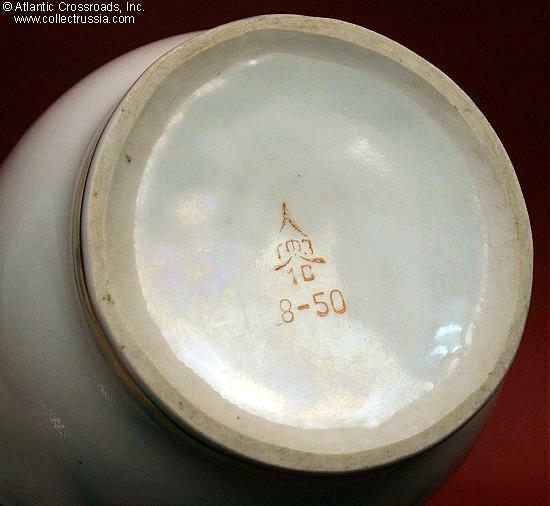 Soviet era price of 8 rubles and 50 kopecks printed on the bottom indicates that this would have been quite an expensive item for an average citizen to purchase! 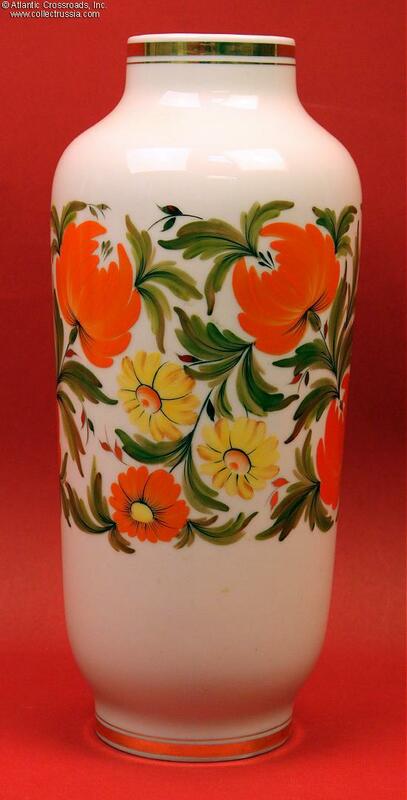 Excellent condition, no chips or cracks no visible wear to the gold trim wherever it appears.